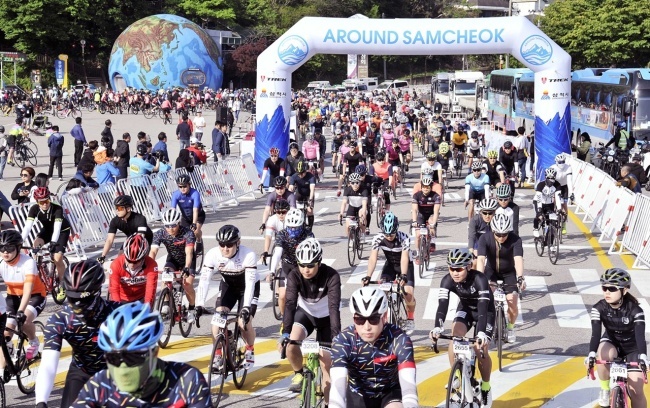 The Around Samcheok 2018 Trek Ride Fest concluded Sunday with over 1,500 participants pedaling around the beautiful scenery across Samcheok, Gangwon Province. The noncompetitive bicycle race took place around the most renowned tourist spots in the city. Riders could choose between a 138-kilometer “challenge” course and a 42-kilometer “accompanying” course. The former was available only to those aged 19 or above and the latter was open to the 16-18 age group accompanied by their parents or legal guardians. The festival kicked off at 8 a.m. Sunday at Samcheok Culture & Art Center, with Samcheok Mayor Kim Yang-ho sending them off. Olympic gold-medalist speedskater-turned-cyclist Mo Tae-bum participated, along with cyclist Eugenio Alafaci of the Trek-Segafredo taem. Mo was also an honorary ambassador for the event. Officials of the Samcheok city government and the event’s host Trek Bicycle Korea also attended the event. 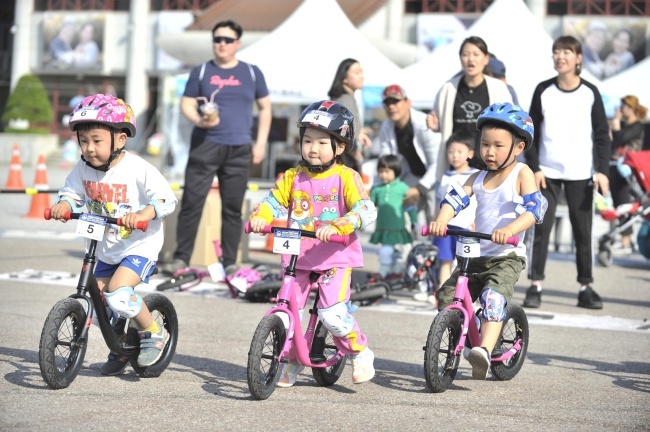 “The festival being successful as it was, I feel that Samcheok has become one of the main tourist spots to enjoy riding bicycles,” said Mayor Kim.